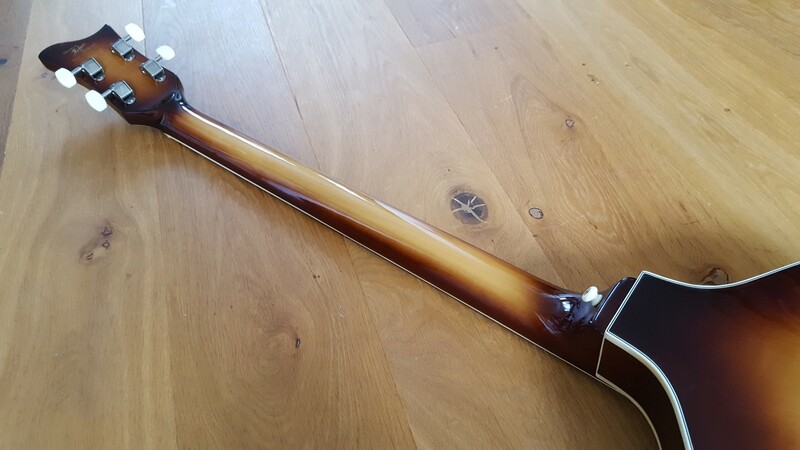 This Hofner Violin bass is in really great condition, probably one of the best available. 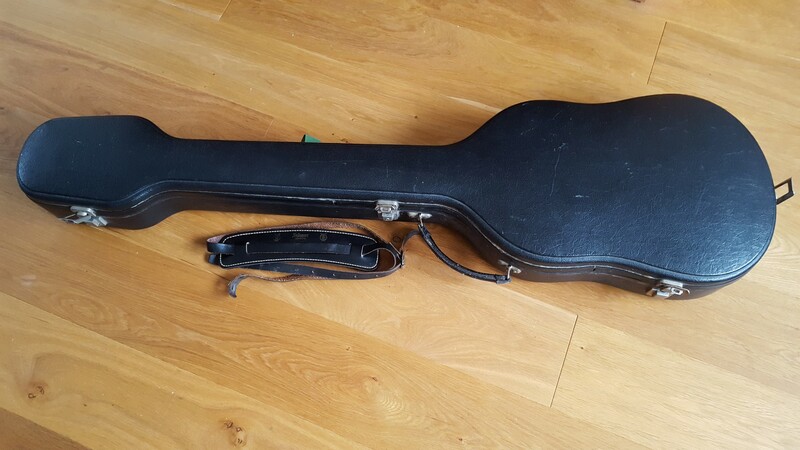 Comes with the original case and leather Selmer strap. 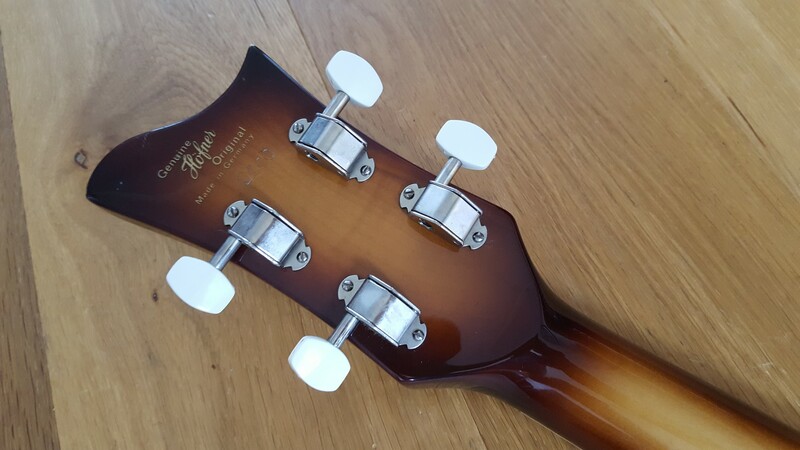 Dating these accurately is difficult as Hofner didn’t use sequential serial numbers, and tended to stockpile parts, so many basses had features which over-lapped the years. It’s fairly common for the pick up’s to fail on these basses, mainly due to the manufacturing process used at the time and I wanted them to be 100% right, so I’ve had both pick ups re-wound to factory specs and all the wiring and circuit board overhauled at the same time. It’s now good for another 50 years! The work was undertaken by Lewis at Torbay Guitar Repairs and the receipt is included in the case. You can read about it here. Condition-wise the bass is extremely good. 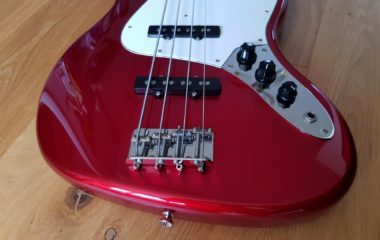 It has a few small marks here and there and small patch of varnish missing from the back, but these don’t detract from the overall condition of the bass which is pretty amazing.